Raring Ringtail, also known as Ubuntu 13.04. The latest version of the popular Linux distro is set for general availability tomorrow, which follows a beta release and a controversial amount of secrecy. Raring Ringtail is characterized as “the fastest and most visually polished Ubuntu experience to date,” with a particular emphasis on a smaller memory footprint and greater responsiveness. Much of the streamlining effort was in preparation for Ubuntu’sfuture life in mobile, and to coincide with that effort, developers will find a preview SDK for app development and the ability to test apps within the MIR display server. The release is now a mere hours away, and yes, it’ll be a good day. 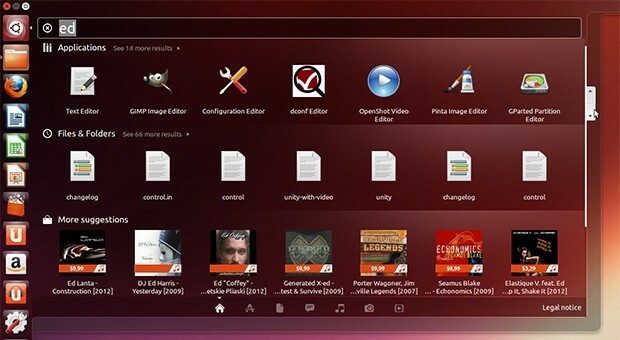 London, 25th April, 2013: Today’s release of Ubuntu 13.04 on the desktop brings a host of performance and quality improvements making it the fastest and most visually polished Ubuntu experience to date.